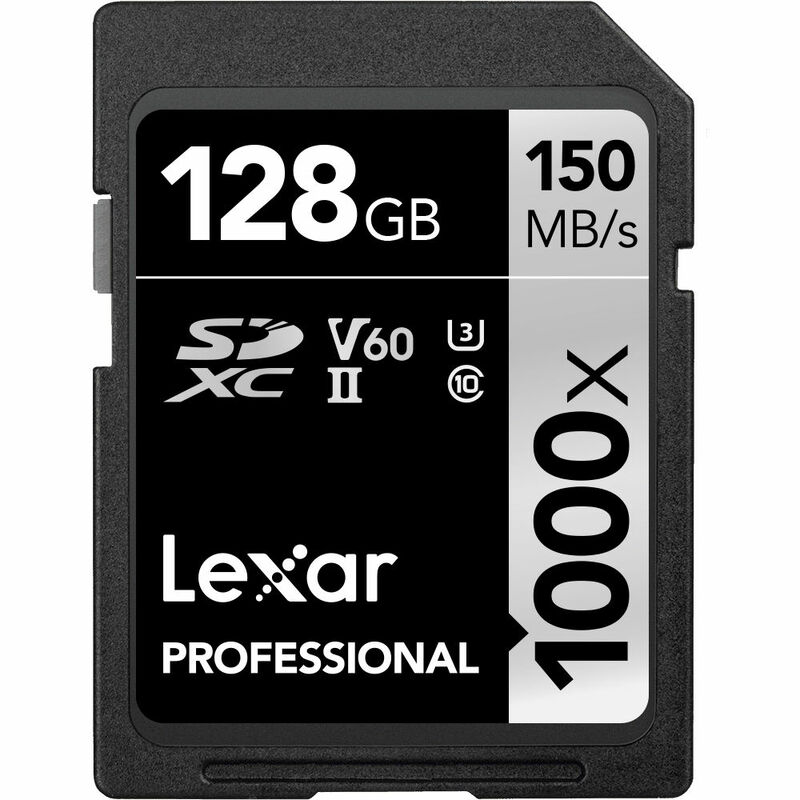 The 128GB Professional 1000x UHS-II SDXC Memory Card (2-Pack) from Lexar features a storage capacity of 128GB and takes advantage of the UHS-II bus to support advanced DSLR functions such as continuous shutter bursts and rapid shooting, as well as raw and JPEG captures. This card is also well-suited for video capture, including 4K, 3D, and Full HD video, and can achieve maximum read speeds of up to 150 MB/s. Thanks to its V60 speed class rating, minimum write speeds are guaranteed not to drop below 60 MB/s. Box Dimensions (LxWxH) 6.1 x 4.7 x 1.7"
128GB Professional 1000x UHS-II SDXC Memory Card (2-Pack) is rated 2.0 out of 5 by 1. Rated 2 out of 5 by Deborah from Check Immediately Upon Arrival I bought two 2 packs of these cards for use in my new D500. Three worked OK, but one promptly and completely failed on first use while on a photo trip. Thus it is recommended that a new card be fully tested in camera at once so that an RMA to B+H can be promptly initiated. 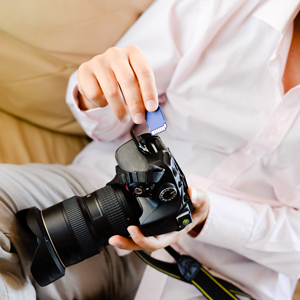 Lexar warranty service in USA seems arcane and seems to require an e-mail.